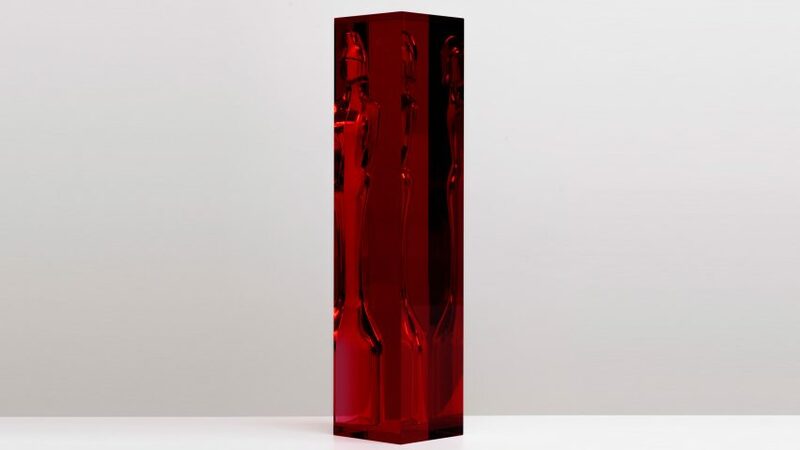 Artist Anish Kapoor has created a blocky red trophy with the Brittania figure trapped in its centre for winners at next year's Brit Awards. 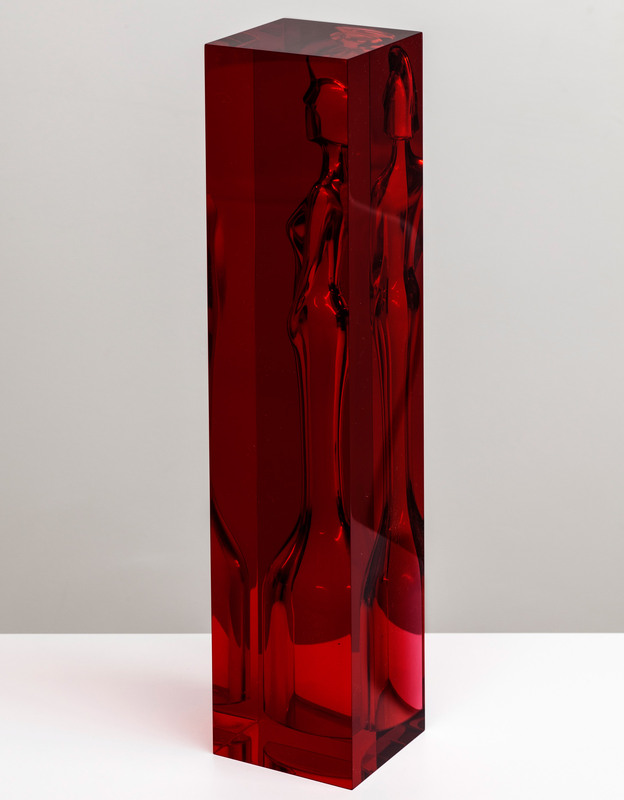 London-based Kapoor has applied a sculptural approach to his design for the trophies, which will be awarded to musicians at the Brit Awards ceremony on 21 February 2018. 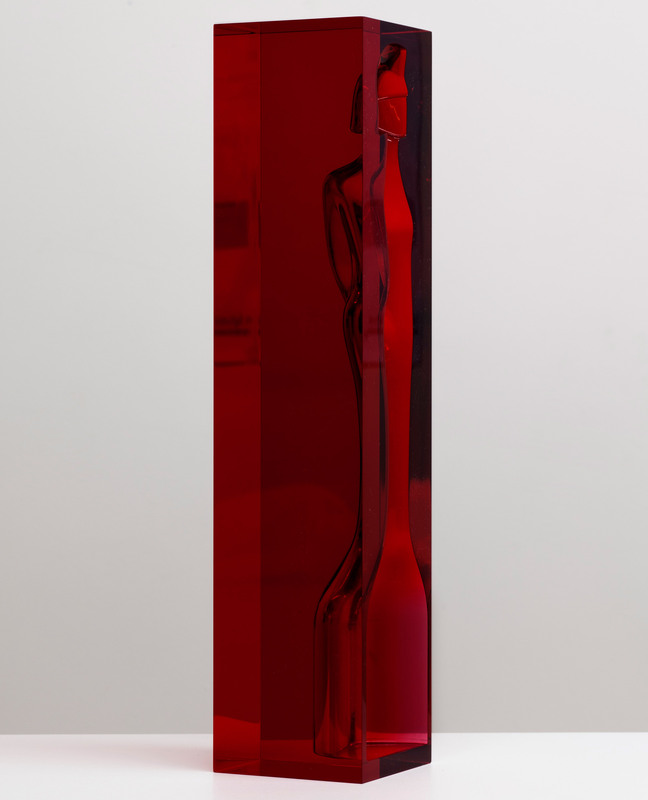 His design sees Britannia – the female personification of Britain – trapped inside a transparent red-coloured block. "Sculpture is often a process of positive and negative form," he said. "I have made the award using both. 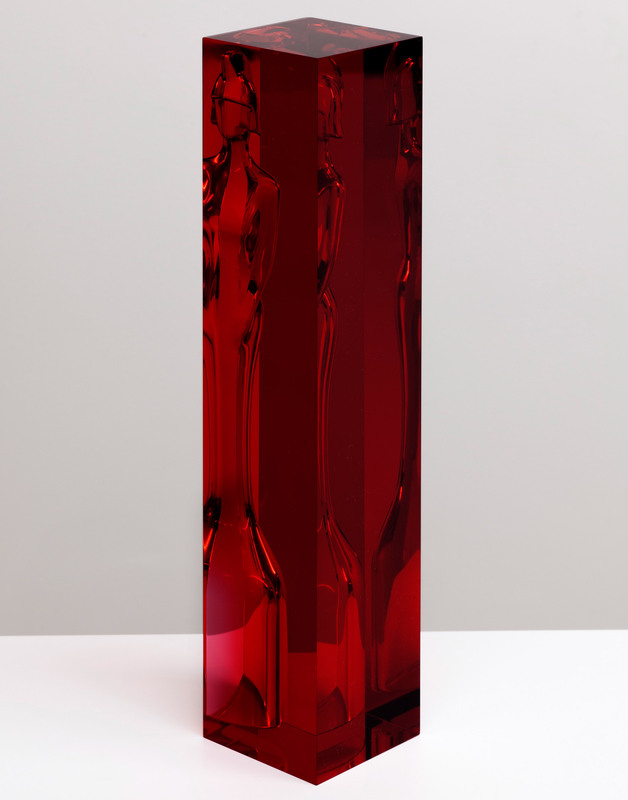 Kapoor – who was awarded the prestigious Turner Prize in 1991, and ranked as the most popular artist in the inaugural Dezeen Hot List – is the first sculptor to design the trophy. 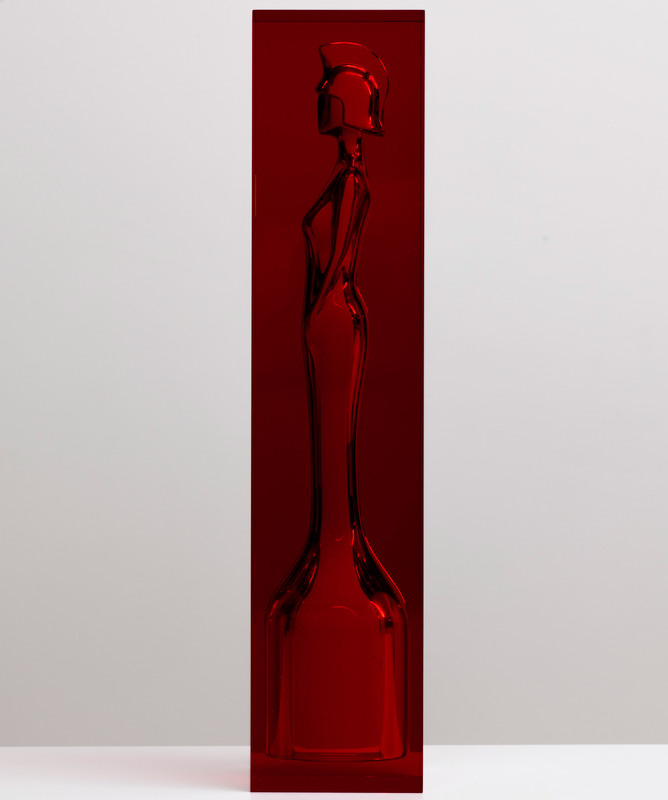 "Anish has created some of the most adventurous and memorable works of our lifetime, which is reflected in the new Brit award," said Brit Awards chairman Jason Iley. "He constantly pushes boundaries and challenges the norm and I love the way he has reimagined this year's award. The beauty of this award is that it challenges perspectives. Every which way you look at it, you discover more." He follows in the footsteps of a number of famous artists and designers tasked with making over the music awards' statuette – including British artists Tracey Emin and Damien Hirst, who contributed in 2015 and 2013 respectively. This year's trophies were designed by the late Zaha Hadid, who aimed to "represent diversity" among the winning musicians with a set of figurines that each curved in a different way. Kapoor was born in India in 1954 and came to Britain in the 1970s. His previous works include a series of womb-like orbs in the Paris' Grand Palais and an inflatable mobile concert hall for earthquake-affected areas. Earlier this year, he formed a coalition called Hands Off Our Revolution with over 200 creatives, which will stage contemporary art exhibitions to confront right-wing populism.